There are still hundreds of kids separated from their families and held in ICE detention. 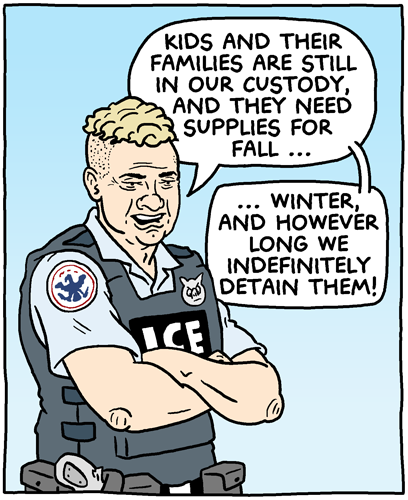 And there are thousands more detained with their families. Which is better in the same way a quick death is better than a slow, grueling one.